Typical Tank setup: Planted aquarium with plenty of open swimming spaces. 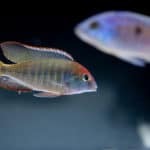 Compatibility: Combine with less aggressive South American Cichlids as well as larger peaceful community fish. Very small fish may be eaten by the Parrots. 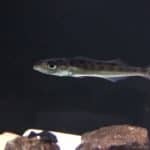 Feeding: Omnivore – Best thrives on live, frozen and flake food. 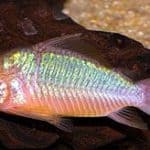 Sexing: Males and females of this species are largely identical with males developing pink around the gills and throat during breeding. 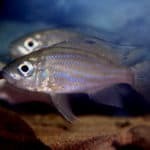 Breeding: Although they sometimes do breed, due to the fact that these fish are hybrids, they are often infertile and will need to be bred with a non-hybrid fish to produce off spring. 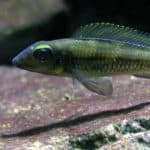 Because of this it is difficult for the average hobbyist to breed these fish. 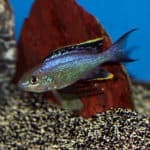 Additional Information: These much-debated cichlids are some of the most well known hybrids available in the hobby. 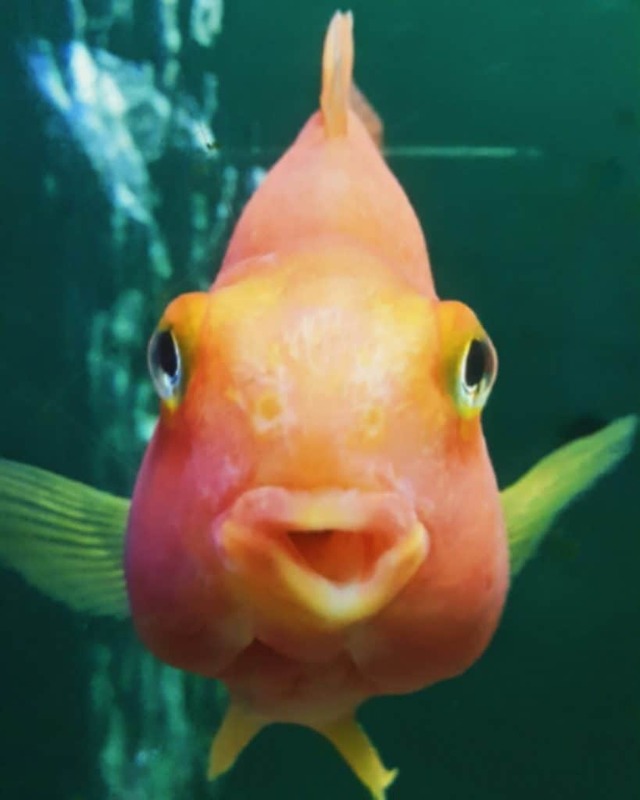 An orange/blood orange coloured body and the fact that they grow to be a good size make them very popular but they will need plenty of space in the long term. 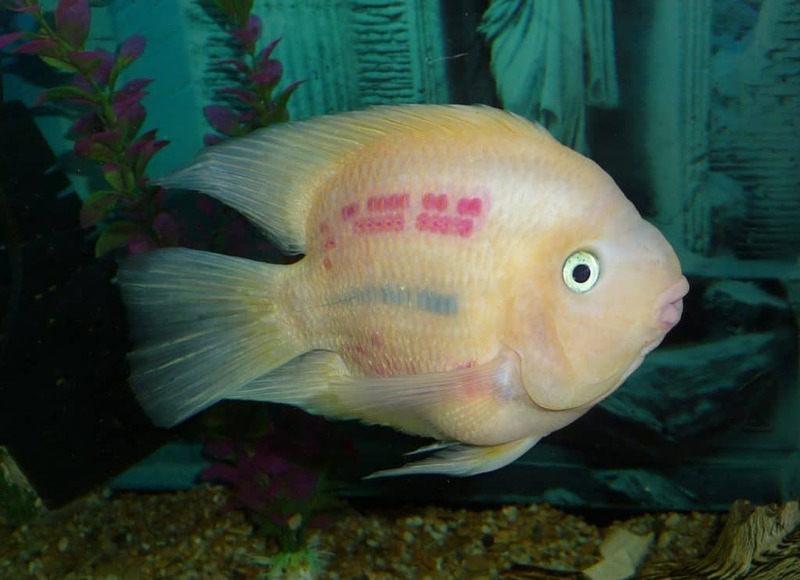 Parrots cichlids have well known problems among which are an awkwardly shaped mouth and infertility. These are also some of the more abused of fish species available in the hobby, often subjected to be dyed and written on! 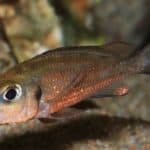 These are usually produced by interbreeding Midas Cichlids and Redhead Cichlids, both of which belong to the South American cichlids family. 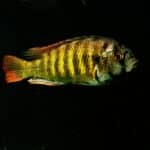 This entry was posted in Profiles Tropical All Fish, Profiles Tropical American Cichlids.